1) FY20 Approps: Western Caucus seeks lead and signers for programmatic and language requests to humanely address excess wild horses and burros. This request advocates for providing funding as well as humane transfer authority to address excess wild horses and burros on the range and in holding pens for work purposes. This submission also proposes a four-tiered solution to break the ineffective cycle of roundups and holdings and instead get animal numbers down to the agency determined appropriate management level (AML). The four tiers are: (1) Conduct targeted gathers and removals at densely populated Herd Management Areas (HMAs) to reduce herd size. (2) Treat gathered horses and burros until 90 percent of mares on the range have been treated, and continue indefinitely with consistent fertility control to achieve sustainability. Treatment will include fertility drugs and permanent sterilization. Determinations of the best practices will vary by HMA. (3) Relocate horses and burros in federal holding facilities pasture facilities funded through public-private partnerships. (4) Promote adoptions through incentives. The four tiers of this approach –gathers and removals, alongside population growth suppression strategies, public-private partnerships, and adoptions –are crucial to the ultimate success of the program. Failure to effectively implement any part of this program jeopardizes the success of a holistic and sustainable wild horse and burro program. Reminder to readers: no horses will be slaughtered as a result of including this language and funding. To lead or sign this submission, contact Jeff.Small@mail.house.gov and Doug.Levine@mail.house.gov. Click HERE to view the text of the submission. Note: Since this is a programmatic and language request, signers will have to submit multiple requests. 2) FY20 Approps: Western Caucus seeks lead and signers for language request that supports the Trump Admin’s active management legislative reforms. broken. We need additional forest management authorities and we need them now. To lead or sign this submission, contact Jeff.Small@mail.house.gov and Doug.Levine@mail.house.gov. • $107.2 million for timber management programs in the BLM that prioritize planning and preparation activities affecting timber sales volumes and forest health. • $54.8 million for BIA Tribal forestry programs. • $92.0 million to support healthy rangelands through weed reduction, vegetation treatments and permitted grazing operations. • $4.0 million for the National Park Service to improve active forest and vegetation management in the national parks. • $450 million for hazardous fuels reduction. • Funding for the Forest Health Management on Federal Lands program (FHM-Federal Lands), a critical program that utilizes active management to suppress forest insects and diseases. • Funding for the Working Forest Lands program, a program that “focuses on active management and conservation, providing non-industrial private forest landowners with technical assistance and tools.” To lead or sign this submission, contact Jeff.Small@mail.house.gov and Doug.Levine@mail.house.gov. 4) FY20 Approps: Western Caucus seeks lead and signers for language request to prevent a listing of the Lesser Prairie-Chicken as an Endangered Species. This language request urges the Committee to include language to prevent funds for listing the Lesser Prairie-Chicken (LPC) as a threatened or endangered species under the Endangered Species Act (ESA). This commonsense provision will allow the LPC Range-Wide Conservation Plan (RWP) to continue to positively impact the recovery of this species without potential retaliatory action by the federal government. The U.S. Fish and Wildlife Service (USFWS) recognized that states are in the best position to lead the recovery effort for the LPC as its previous listing allowed the five states to continue to manage conservation efforts through the RWP. In the weeks leading up to the original USFWS’s listing decision, local landowners showed unprecedented support for LPC conservation by enrolling nearly 4 million acres in the plan and committing more than $26 million towards conservation. This type of commitment led U.S. District Judge Robert Junell to de-list the LPC in September of 2015. Despite this ruling, there are new petition efforts and threats of litigation that attempt to list the LPC. Accordingly, Congress must act to prevent this occurrence. To lead or sign this submission, contact Jeff.Small@mail.house.gov and Doug.Levine@mail.house.gov. 5) FY20 Approps: Rep. LaMalfa seeks signers for language request to address important forestry reform provisions in the FY 2020 base text. As a result of our obvious neglect of proper management of federal forests, they have burned and caused catastrophic wildfires that have harmed our communities and the environment. 2017 was one of the worst wildfire seasons in history with 71,499 fires burning approximately 10 million acres. The Forest Service spent more than $2.5 billion on suppression costs last fiscal year alone – a new record. 2018 was another terrible season, with 58,083 wildfires burning approximately 8.8 million acres. The Mendocino Complex Fire in Northern California was the largest fire in state history with 459,123 acres burned. The Carr Fire in Northern California claimed eight lives and destroyed more than 1,600 structures. These two fires destroyed 8,900 homes and 329 businesses costing more than $840 million in insured losses. The Camp Fire was the costliest disaster in the world last year, costing more than $12.5 billion in insured losses, claiming 88 lives and destroying nearly 19,000 structures, roughly 14,000 of which were homes. 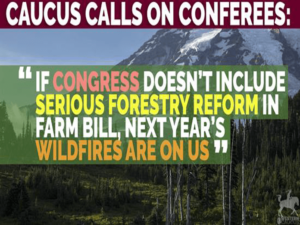 The letter advocates for several provisions, many of which have passed the House before, including “Action/No Action”, several necessary Categorical Exclusions, “Balance of Harms” provisions, litigation reforms and other forest health initiatives. To lead or sign this submission, contact Jack.Lincoln@mail.house.gov and Jeff.Small@mail.house.gov. 6) FY20 Approps: Reps. Gosar and O’Halleran seek signers for programmatic request to ensure the Payments in Lieu of Taxes (PILT) program is fully-funded. PILT provides critical resources to more than 1,850 counties across 49 states to offset lost property tax revenue due to the large presence of tax-exempt federal lands within their jurisdictions. These dollars go toward supporting many critical services that counties are required to provide on public lands, despite their inability to collect property taxes on these same federal lands. Some of these provided services include: law enforcement, search and rescue, education, road maintenance and public health. As counties across the United States work to balance their budgets, it is essential that we act to reaffirm the federal government’s long-standing commitment to local governments and fully fund PILT. The FY 2019 Omnibus appropriations package, enacted in February 2019, fully funded PILT at $500 million for the remainder of FY 2019. The FY 2018 Omnibus appropriations package signed into law on March 23, 2018 funded PILT at $552.8 million. The Department of the Interior FY 2020 budget includes $465.0 million in direct appropriations for PILT. This programmatic request asks Appropriators to fully fund PILT in FY 2020. 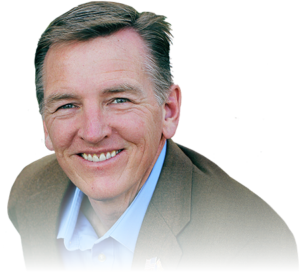 To sign this submission, contact Paul.Babbitt@mail.house.gov (O’Halleran) or Printus.LeBlanc@mail.house.gov (Gosar). 7) FY20 Approps: Western Caucus seeks lead and signers for language request to encourage local conservation efforts and prevent a listing of the Greater Sage-Grouse. This submission asks the Committee to encourage local conservation efforts and include language that prevents a listing of the Greater Sage-Grouse under the Endangered Species Act. The Department of Interior under the Obama Administration found in 2015 that a listing of the sage-grouse under ESA was not warranted. However, the previous administration unilaterally chose to implement a de facto listing through nearly 100 overly restrictive Resource Management Plan (RMP) Amendments and Land and Resource Management Plan (LRMP) Amendments. These RMPs and LRMPs were in many cases more restrictive than a critical habitat designation under an ESA listing. The amendments sought to impose a massive land grab of tens of millions of acres in order shut down oil, gas, and mineral production as well as grazing and other activities across 11 Western states. The bird’s habitat covers roughly 165 million acres, so these restrictions are significant. Thankfully, the Bureau of Land Management returned power to the states by issuing Records of Decision (RODs) to unwind the overly restrictive RMP Amendments implemented by the previous administration. Congress must act to ensure the Sage Grouse cannot remain an arbitrary regulatory cudgel in the years ahead and provide federal agencies the protections they need to continue to unwind previous overreach. A provision aimed to prevent a listing of the Sage Grouse has been included in omnibus bills since fiscal year 2015. To lead or sign this submission, contact Jeff.Small@mail.house.gov and Doug.Levine@mail.house.gov. 8) FY20 Approps: Rep. Stauber seeks signers for language request to repeal the 2015 Waters of the United States (WOTUS) rule. This language request asks the Subcommittee to take action to repeal the 2015 Waters of the United States (WOTUS) rule. WOTUS seeks to expand agency control over 60% of our country’s streams and millions of acres of wetlands that were previously non-jurisdictional. The language of the rule is drafted so vaguely that it encompasses nearly all water sources with any hydrologic connection to downstream navigable waters, including ditches, pipes, farmland ponds, groundwater, as well as other waters traditionally regulated by the state. Courts have found that the 2015 WOTUS rule runs contrary to Supreme Court decisions, tramples on state and tribal water rights, constitutes an unlawful expansion of federal authority not authorized under the Clean Water Act, triggers “immediate” irreparable injury, is arbitrary and capricious, that patchwork implementation in some states “undermines the value of national consistency” and that “farmers, homeowners, and small businesses will need to devote time and expense to obtaining federal permits—all to comply with a rule that is likely to be invalidated.” Despite multiple court injunctions, WOTUS is now required to implemented in at least 20 different states. Until the current Admin’s rescind-and-replace strategy for WOTUS is finalized, Congress should take action to repeal this unconstitutional rule and provide certainty for land and water users throughout the country. The request asks for the same language to be included that was included in the base text of the FY 2019 bill that passed the House. The request includes a secondary preference that the Committee not include any language that inhibits ongoing efforts by the Administration to repeal and replace the 2015 WOTUS rule. To lead or sign this submission, contact Andrew.Morley@mail.house.gov and meadoJeff.Small@mail.house.gov. 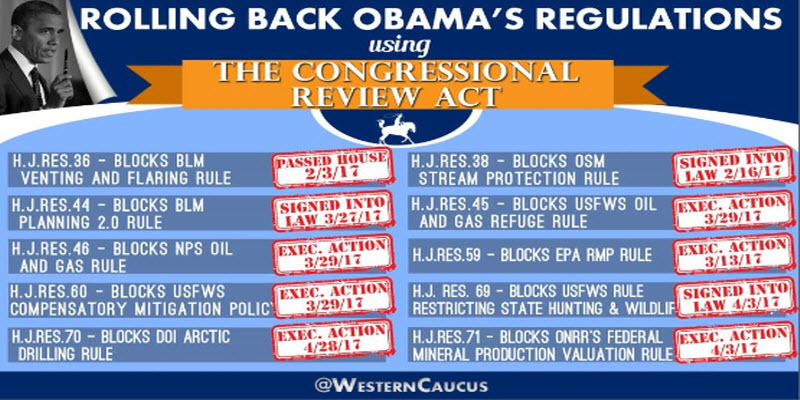 9) FY20 Approps: Western Caucus seeks lead and signers for language request to repeal the Obama Administration’s EPA methane rule. On March 28, 2017, President Trump signed Executive Order 13783, directing federal agencies to review existing regulations and policies that potentially burden domestic energy production. The Executive Order specifically required the EPA to review the previous administration’s 2016 EPA Methane Rule.This rule is unnecessary in the first place; given methane is a product this industry is in the business of selling, not wasting, but also because they’re duplicative, costly, and detrimental to our economy. By EPA’s own numbers, methane emissions have decreased while production has increased over the same time period. In fact, innovation and technology improvements in the oil and gas industry are the main reason the U.S. was the world leader in emissions reductions in 2015, 2016 and 2017.The cost to our economy from this job-killing rule is projected at $530 million annually. The request seeks to repeal this rule outright. To lead or sign this submission, contact Jeff.Small@mail.house.gov and Doug.Levine@mail.house.gov. 10) FY20 Approps: Western Caucus seeks lead and signers for programmatic request urging responsible prioritization of bark beetle treatment and hazardous fuels reduction. Bark beetles have caused significant damage on roughly 100,000 square miles of forest in the western United States alone. In Colorado, the spruce beetle epidemic continued last year, spreading across 178,000 new acres. In fact, spruce beetles have killed millions of trees on more than 1.8 million acres in Colorado since 2000. In Utah, more than 2.2 million acres have been vulnerable to bark beetle infestations. The Forest Service reports that the mountain pine beetle has killed trees on more than six million acres across western and central Montana during the last 16 years on record. Over the last couple years, tree mortality increased significantly from bark beetles in the state of Oregon. Bark beetles have caused millions of dollars of damage to the timber industry in Alabama and Mississippi. Bark Beetles have spread up the Atlantic coast, reaching New York and Connecticut. According to the Forest Service, “Between 2010 and 2016, 102 million trees died on Federal, State, Tribal, and private lands in California due to a severe multi-year drought coupled with dense forest conditions, high numbers of bark beetles, and a period of increasingly warm temperatures. An additional 27 million trees, mostly conifers, died throughout California since November 2016, bringing the total number of trees that have died due to drought and bark beetles to an historic 129 million on 8.9 million acres.” In FY 2010, the Forest Service received $101.5 million in FY2010 for total bark beetle activities. This year the Forest Service is only slated to receive $3.54 million for Western Bark Beetle activities. The submission requests robust resources for combating the bark beetle epidemic in FY 2020. To lead or sign this submission, contact Jeff.Small@mail.house.gov and Doug.Levine@mail.house.gov. 11) FY20 Approps: Rep. Biggs seeks signers for programmatic request to bring unsustainable land acquisition by BLM, FWS, USFS, NPS under control. The United States Federal Government is the largest landowner in the nation by far, holding title to roughly 640 million acres, or approximately 28% of the acreage of the United States. 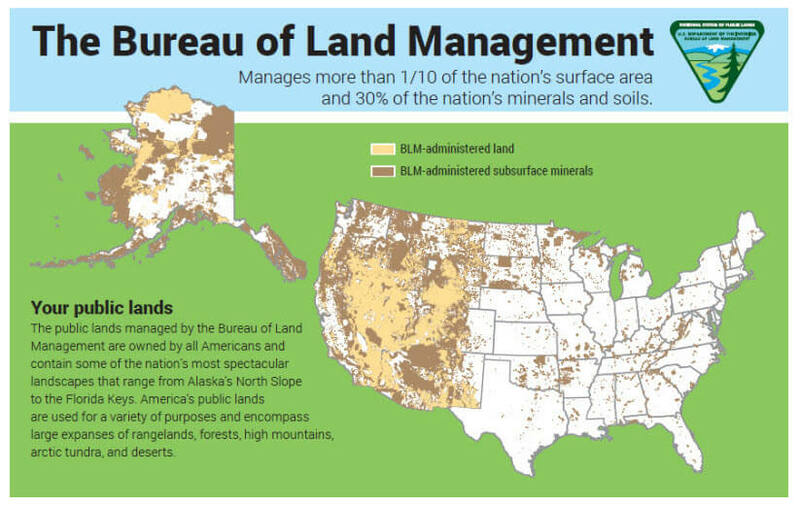 The BLM on its own manages nearly 250 million of those acres while additionally administering roughly 700 million acres of federal subsurface mineral estate. The total land stewardship responsibility of the federal government is incredible. The federal government understandably encounters overwhelming difficulty in executing its responsibility to manage lands and facilitate public access effectively. One indicator of this fact is the substantial maintenance backlogs which plague each of the agencies in question, particularly with regards to infrastructure, vegetation and facilities maintenance. In its FY 2020 budget request, the administration emphasized its desire to focus on the problem of managing already-held lands effectively, and to transfer funds from acquisition accounts to bolster those of the former. This is the proper approach. The federal government has bitten off more than it can chew; by decreasing land acquisition accounts and increasing those that support land management, we can ensure the government fulfills the responsibilities it already has before taking on new ones. To sign this submission, contact Cesar.Ybarra@mail.house.gov (Biggs) and Jeff.Small@mail.house.gov. 12) FY20 Approps: Western Caucus seeks lead and signers for language request to prevent funds for the Social Cost of Carbon. The Social Cost of Carbon utilizes fundamentally flawed models developed by the Obama Administration, as a result of an executive order, to create artificial benefits that are then used to justify outrageously expensive and damaging rules in order to shut down worthwhile projects that create jobs. These models are easily manipulated and are not based on actual science. The House has decisively have voted at least 13 times to block, defund, or oppose the Social Cost of Carbon since 2013. Three different amendments passed the House during 115th Congress to prevent use of the Social Cost of Carbon, including two appropriations amendments. Further, President Trump signed an executive order to review the Social Cost of Carbon analyses, disband its working group and withdraw several documents related to the Social Cost of Carbon that were put out by the working group. Despite this clear record of opposition, the Social Cost of Carbon continues to exist. On March 20, 2019, U.S. District Court Judge for the District of Columbia Rudolph Contreras issued an opinion that prevented 282 different leases on 303,000 acres of land in Wyoming from moving forward, citing BLM’s failure to forgoe the Social Cost of Carbon as part of his reasoning for holding up nearly 300 leases approved by the Obama Administration. To lead or sign this submission, contact Jeff.Small@mail.house.gov and Doug.Levine@mail.house.gov. 13) FY20 Approps: Rep. Biggs seeks signers for language request to ensure hunting, fishing and sporting access on federal lands. This language request recognizes the rightful place of hunting, fishing, and recreational shooting on public lands. Federal agencies have repeatedly restricted public access to our federal lands under the guise of safety, resulting in the loss of our sportsmen’s recreational activities. Such restrictions have negative effects on our economy, and our constituents’ rights to hunt, fish, and shoot on federal lands. Enacting this provision will be a good step towards protecting these long-standing American traditions. This prohibition is necessary to protect recreational access in light of actions by the Obama Administration that closed public lands to hunters and shooters. The FY 2017, FY 2018 and FY 2019 House Interior, Environment and Related Agencies Appropriations bills contained language which included this provision. To sign this submission, contact Cesar.Ybarra@mail.house.gov and Jeff.Small@mail.house.gov. 14) FY20 Approps: Reps. Stauber, Emmer and Gosar seek signers for language request supporting precious metal mining permitting processes. Upcoming mining projects that meet or exceed all environmental standards are crucial to sustain America’s economic development. In northeastern Minnesota, an estimated $515 million in economic activity will be generated annually for rural counties near the NorthMet ore body. In northern Arizona, the breccia pipe formation represents the largest deposit of uranium in the United States. The Nuclear Energy Institute (NEI) estimates this formation would provide California’s 40 million residents more than 22 years of electricity. Economic development from mining projects benefit communities near the site. A recent editorial in the Duluth News Tribune compared the economic impact of the PolyMet mining project in Minnesota to hosting the Super Bowl every year for 20-plus years. This project alone would employ nearly 1,000 workers, creating opportunities for high-paying jobs. Precious metals harvested from mining projects are necessary for our security and the modern world. Batteries powering electric cars require nickel. Copper can be found in electrical wiring in buildings and in dishwashers, refrigerators, and vacuum cleaners. The United States remains reliant on uranium for national security as well as energy. 30 years ago, energy reactors within the United States used only domestically produced uranium. Today, only 3 percent of uranium used in our reactors is produced domestically, while most comes from Russian-influenced Kazakhstan. Precious metal mining is crucial to our everyday lives, economic development, and national security. The submission asks Appropriators not to include any bill or report language that would interfere with or limit precious metal mining processes. To sign this submission, contact Andrew.Morley@mail.house.gov. 15) FY20 Approps: Western Caucus seeks lead and signers for programmatic request supporting President’s request for the BLM coal management program. This submission supports the President’s request of $19.8 million for the Bureau of Land Management (BLM) coal management program. Coal production on federal lands is essential for increasing American energy security. As you know, the BLM has responsibility for coal leasing on approximately 570 million acres of federal mineral estate. In 2017 alone, 326,073,802 tons of coal was produced on federal land according to figures published by the Department of the Interior. The previous administration placed a moratorium on the federal coal leasing program in January of 2016. Thankfully, in March of 2017 the Secretary of the Interior lifted the moratorium. Coal generates baseload power that prevents rolling black outs when renewables fall short in extreme weather. The most recent polar vertex was a prime example of the dangers of putting all our eggs in one basket as utilities asked hundreds of thousands of customers to turn down their heat to low 60 degree temperatures during frigid conditions. Meeting the President’s request will reduce permit processing times, simplify lease applications and help ensure an abundant supply of reliable and affordable energy. To lead or sign this submission, contact Jeff.Small@mail.house.gov and Doug.Levine@mail.house.gov. 16) FY20 Approps: Western Caucus seeks lead and signers for programmatic request supporting the President’s request for responsible onshore and offshore energy production. The FY 2020 DOI request includes a total of $830.1 million to advance economic growth and energy security through offshore and onshore oil and gas, coal, and renewable energy. Innovation and technology improvements in the oil and gas industry are the main reason the U.S. was the world leader in emissions reductions in 2015, 2016 and 2017. According to the U.S. Energy Information Administration, the United States has surpassed Saudi Arabia and Russia to become the largest global crude oil producer. This American energy renaissance has contributed greatly to the economic growth and stability we have experienced over the last two years. In 2017 alone, 7% of all new jobs created came from the traditional energy and efficiency sectors. In total, 6.5 million Americans are employed by the traditional energy and energy efficiency sectors directly. Our growth in oil and gas production in conjunction with increased generation from renewables has allowed us to slowly extricate ourselves from being dependent on foreign countries for our energy sources. We are blessed as a nation to have abundant natural resources that we can utilize responsibly while also protecting the environment around us. To lead or sign this submission, contact Jeff.Small@mail.house.gov and Doug.Levine@mail.house.gov. 17) FY20 Approps: Western Caucus seeks lead and signers for programmatic request supporting the President’s request to allow responsible exploration and development of America’s offshore energy resources. The oceans surrounding the U.S. hold tremendous energy potential. We now have a unique opportunity to encourage new exploration, leasing and production in untapped areas of the Outer Continental Shelf (OCS). The OCS is estimated to contain nearly 500 trillion cubic feet of natural gas and 90 billion barrels of oil. There is enough natural gas in the OCS to heat 100 million homes for 60 years and enough oil to replace current Persian Gulf imports for 59 years. The FY 2020 DOI request includes a total of $393.9 million to support responsible exploration and development of America’s offshore energy resources. To lead or sign this submission, contact Jeff.Small@mail.house.gov and Doug.Levine@mail.house.gov. 18) FY20 Approps: Western Caucus seeks lead and signers for programmatic request supporting the President’s request for DOI Reorganization. President Trump’s 2020 budget includes $27.6 million to continue to implement DOI Reorganization efforts throughout the Department and within its various agencies including the Bureau of Land Management (BLM), the U.S. Fish and Wildlife Service (USFWS), the National Park Service (NPS), the Bureau of Reclamation (BOR) and the United States Geological Survey (USGS). The reorganization is designed to make DOI and its agencies more accessible to the general public and closer to the issues the Department is charged with managing. The vast majority of the decisions taken by DOI, BLM, USFWS, NPS, BOR and USGS effect areas outside of Washington D.C., so the relocation of more personnel throughout the country is a needed step to bring these agents closer to local governments and external stakeholders. Doing so will increase access and ensure accountability. To lead or sign this submission, contact Jeff.Small@mail.house.gov and Doug.Levine@mail.house.gov. 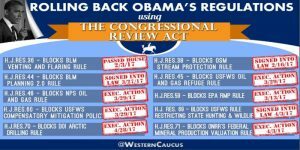 19) FY20 Approps: Western Caucus seeks lead and signers for programmatic request supporting EPA Regulatory and Permitting Reforms. The 2020 budget provides resources to ensure EPA can review and revise regulations and improve the permitting process. The EPA expects to announce several significant rulemakings in FY 2020 and will be continuing to implement new rulemakings from FY 2019, such as the replacement regs for the Waters of the United States and the so-called “Clean Power Plan” rules. This funding will be integral for providing much needed technical assistance and guidance to local officials and other regulated entities on these new rulemakings. Funding is also necessary to ensure that EPA continues to alleviate duplicative and unnecessary regulatory burdens for relevant stakeholders. While most operating permits are issued by states and local agencies, the EPA does issue permits in Indian country, on the Outer Continental Shelf and in some U.S. Territories. The EPA should establish and adhere to timeframes for permitting. Such efforts will provide certainty and allow for increased investment. Furthermore, the EPA’s 404(c) veto authority should be reformed. To lead or sign this submission, contact Jeff.Small@mail.house.gov and Doug.Levine@mail.house.gov. 20) FY20 Approps: Western Caucus seeks lead and signers for programmatic request supporting the President’s request for DOI Law Enforcement. The Department of the Interior (DOI) employs roughly 4,000 Federal law enforcement officers who have a diverse set of responsibilities. DOI officers have removed millions of dollars’ worth of drugs and opioids from local communities, saving lives and putting drug dealers behind bars in the process. Whether it is border enforcement, policing our Indian Reservations or keeping the peace, law enforcement officers within the Department of the Interior are an invaluable asset to the security of our nation. The 2020 budget includes a total of $930.3 million for law enforcement programs and includes $10.0 million to continue the Bureau of Indian Affairs’ successful efforts as part of the federal Opioid Reduction Task Force. This submission supports that request. To lead or sign this submission, contact Jeff.Small@mail.house.gov and Doug.Levine@mail.house.gov. 21) FY20 Approps: Western Caucus seeks lead and signers for programmatic request supporting the President’s request for the Office of Fossil Energy Research & Development. The President’s request provides $562 million for the Office of Fossil Energy Research & Development (FER&D). The FER&D program supports the United States’ ability to efficiently increase energy security through environmentally-friendly domestic fossil energy resources. Currently, the country’s only large clean capture coal facility is found in Texas. The Petra Nova facility is the only carbon capture and storage coal-fired power plant in the United States and is only one of two facilities that utilize this technology in the world. Providing resources for the FER&D program in order to achieve further carbon capture and storage for domestic fuel sources is of critical importance. When DOE Secretary Perry announced eight projects that would receive FER&D funding, he accurately stated: “By 2040 the world will still rely on fossil fuels for 77% of its energy use. Our goal is to produce them in a cleaner way. These projects will allow America, and the world for that matter, to use both coal and natural gas with near-zero emissions.” This submission supports that request. To lead or sign this submission, contact Jeff.Small@mail.house.gov and Doug.Levine@mail.house.gov. 22) FY20 Approps: Western Caucus seeks lead and signers for programmatic request supporting Forest Service Grazing Management program request. fact, many rural communities are reliant on federal land grazing for their economic livelihood. Grazing occurs on both BLM and Forest Service lands. The Forest Service Grazing Management program provides forage and water resources for nearly 6,000 cattle producers, supporting rural communities in the process. According to the Forest Service, “the Grazing Management program maintains and restores rangelands on more than 102 million of 193 million acres of NFS lands spread across 29 States, contributing over 14,000 direct or indirect jobs and $706 million to the Nation’s economy each year.” The Forest Service Grazing Management program is funded at $56,856,000 in the FY 2020 budget. This submission supports that request.To lead or sign this submission, contact Jeff.Small@mail.house.gov and Doug.Levine@mail.house.gov. 23) FY20 Approps: Rep. Westerman seeks leads and signers for programmatic request supporting robust funding for improvements and maintenance of Forest Service roads. The USFS road network includes more than 370,000 miles of roads and 6,200 bridges. Road and bridge needs comprise more than $3 billion of USFS’ $5.5 billion deferred maintenance backlog. Many isolated communities around the country depend on USFS roads to connect them to high-use recreation sites and larger cities. Any disruption in access due to weather or something preventable, like maintenance delays, can have drastic economic and even deadly consequences. For example, in Gila County, Arizona, USFS closed Forest Road 708 due to deferred maintenance. Forest Road 708 connects the towns of Pine and Strawberry, Arizona to Fossil Creek. Due to the road closure by USFS, rescue times at Fossil Creek for emergency services increased from 2 hours to nearly 8 hours. Local residents have voiced their concerns on many occasions with USFS, but to date the road is still closed to the general public and access is limited. Given troubling USFS road and bridge maintenance backlog woes throughout the country, the request asks appropriators to prioritize the proper management and repair of roads and bridges already in the USFS inventory as opposed to acquiring more land and assets the USFS budget cannot sustain. To lead or sign this submission, contact Will.Layden@mail.house.gov. 24) FY20 Approps: Western Caucus seeks lead and signers to encourage local management and delist the gray wolf throughout the 48 contiguous states. and tribes. While we have great confidence in the current administration, litigation and judicial activism have prevented the finalization of this warranted proposed rule previously. Accordingly, Congress should act and provide certainty. To lead or sign this submission, contact Jeff.Small@mail.house.gov and Doug.Levine@mail.house.gov. 25) FY20 Approps: Rep. Tipton seeks signers for language request to prohibit federal agencies from extorting state and private water rights. In recent years the federal government has repeatedly attempted to circumvent long-established state water law in order to hijack water rights. This language request prevents the federal government from taking privately held water rights without just compensation. 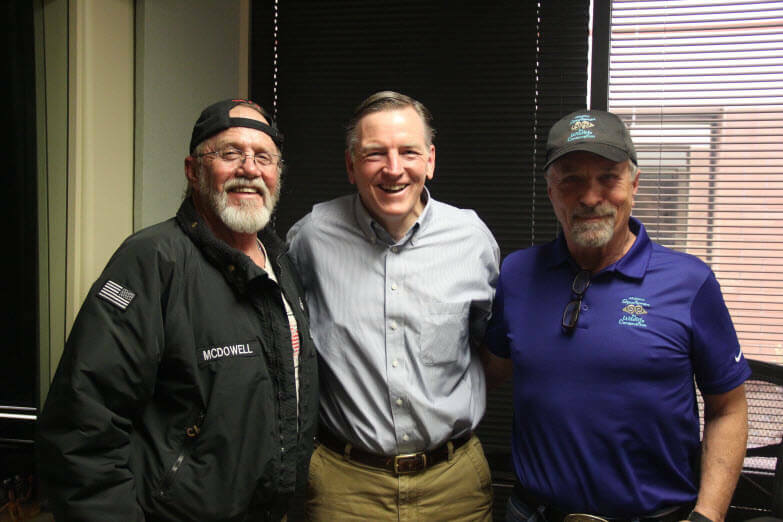 This would protect a variety of water users including rural communities, businesses, recreation opportunities, farmers and ranchers as well as other individuals that rely on privately held water rights for their livelihood. It does so by prohibiting federal agencies from extorting water rights through the use of permits, leases, and other land management arrangements, for which it would otherwise have to pay just compensation under the 5th Amendment of the Constitution. This legislation is necessary as the Forest Service and BLM under the previous administration aggressively pursued such takings for several years. Nearly identical legislation passed out of the House of Representatives with bipartisan support in both the 113th, 114th, and 115th Congresses. A similar amendment also passed the House Appropriations Committee during the 115th Congress. To sign this submission, contact Liz.Payne@mail.house.gov. 26) FY20 Approps: Western Caucus seeks lead and signers for language request to allow vacant lots for grazing for those impacted by drought or wildland fire. This submission seeks to once again make available vacant allotments for permittees impacted by drought or wildland fire. Farmers and ranchers across the country are struggling with two of the biggest negative factors affecting their operations being fire and drought. Drought conditions have caused growing seasons to lengthen by nearly two weeks since 1950 in the Midwest. Drought alone is estimated to have cost the U.S. economy $50 billion from 2011 to 2013. 2018 was another terrible wildfire season. According to the National Interagency Fire Center, over 8.8 million acres were burned by more than 58,000 different wildfires in 2018 alone. Droughts and wildfires threaten our food supply and the economic prosperity of rural communities nationwide. Making lands available to permittees impacted by drought and wildfire will help mitigate some of the negative impacts currently being experienced by ranchers and farmers. The engrossed version of the House FY 2019 Interior, Environment and Related Agencies Appropriations bill contained this language to make available vacant allotments for permittees impacted by drought or wildland fire. To lead or sign this submission, contact Jeff.Small@mail.house.gov and Doug.Levine@mail.house.gov. 27) FY20 Approps: Western Caucus seeks lead and signers for language request to address background ozone issue and protect local communities. This language request urges the Committee to include language to address background ozone and prevent local communities from being penalized for things they often can’t control. Background ozone is produced from natural sources like plants, vegetation and wildfires. It can be transported downward during storms. Background ozone can also originate in other countries and be transported far distances via wind. Background ozone can result in significant penalties including prohibitions on receiving federal highway funds and increasing requirements to “offset” emissions from any new or modified facilities. Both sanctions can increase costs and inhibit local economic development. State and local governments also lack the ability to do much to control background ozone. Sound data from NASA concluded, “In parts of Northern California, background ozone levels already account for more than three-quarters of total ozone, leaving little room for local ozone production if stricter standards go into effect.” Background ozone is something that should be considered or exempted by the EPA, but unfortunately it is not. Congress must act to protect local communities as a result by requesting the language included in this letter. To lead or sign this submission, contact Jeff.Small@mail.house.gov and Doug.Levine@mail.house.gov. 28) FY20 Approps: Rep. Biggs seeks signers for programmatic request to support the administration’s critical minerals research and data collection. This submission urges the Committee to work to advance the President and Department of the Interior’s calls for critical and strategic mineral security. President Trump has called for a mineral strategy which entails high-tech surveying, mapping and modelling of areas that have a high probability of containing critical mineral resources. 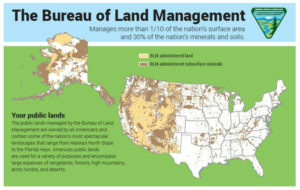 According to USGS, “less than 20 percent of the United States has been geologically mapped at a scale useful for mineral and energy exploration or for local land-use planning.” The 2020 budget includes $30.3 million for USGS for critical minerals research and data collection thereby supporting the intent of Executive Order 13817. This is a necessary use of federal dollars and a first step for ensuring our nations long-term national and economic security through the domestic scoping and production of critical and strategic resources. To sign this submission, contact Cesar.Ybarra@mail.house.gov and Jeff.Small@mail.house.gov. 29) FY20 Approps: Western Caucus seeks lead and signers for programmatic request supporting the President’s request for the Bureau of Indian Education. In recent years, more than one-third of BIE funded facilities were found to be in substandard or poor condition. A sizeable volume of research, including investigations by the Government Accountability Office (GAO), have established direct correlation between facility conditions and poor student outcomes within the BIE. BIE schools face much more extensive operations costs than most public schools due to the fact that many are located in remote areas far from utility and infrastructure services traditionally provided by municipalities. Many BIE schools are responsible for operating their own water and sewer systems, electricity generation, road maintenance, snow management and other large infrastructure needs. Such operational costs can be a considerable drain on resources. The United States Government has trust responsibilities to Indian tribes and Indian education which are firmly established through historical treaties, court decisions and federal statute. This President’s budget request supports the trust responsibility by helping to provide high quality education in an environment that is safe, healthy and conducive for learning. To lead or sign this submission, contact Jeff.Small@mail.house.gov and Doug.Levine@mail.house.gov. 30) FY20 Approps: Reps. Peterson and Conaway seek signers for programmatic request to support the Rural Utilities Service Electric Loans Program. Electric cooperatives use the RUS Electric Loans program to finance electricity distribution, transmission, and generation to provide affordable and reliable electric service to approximately 42 million people every day. Electric cooperatives have an exceptional track record of paying back these loans with interest which also contributes to lowering the federal deficit.The request also asks for flexibility in the types of projects available for borrowing so electric cooperatives can finance distribution and transmission projects, environmental upgrades, or the construction of new generation sources. The National Rural Electric Cooperative Association (NRECA) and the distribution, generation, transmission, and service members they represent support this request. To sign this submission, contact Zach.Martin@mail.house.gov (Peterson) or Chase.Sauvage@mail.house.gov (Conaway). 31) FY20 Approps: Western Caucus seeks lead and signers for language request to prohibit the National Park Service from imposing unreasonable park entry fee increases and excessive permit fees and reporting requirements for road-base tour operators. instruct NPS to modify these two recent policy changes. To lead or sign this submission, contact Jeff.Small@mail.house.gov and Doug.Levine@mail.house.gov. 32) FY20 Approps: Rep. LaMalfa seeks signers for programmatic request to ensure funds for Wolf Depredation. This worthwhile program provides ranchers a small fraction of what they are owed when they can prove their livestock was killed due to a wolf attack. Since the U.S. Fish and Wildlife Service operates oversight of the gray wolf and other wolf recovery programs, the federal government often bears some responsibility for these attacks. In 2016 alone, the Wolf Livestock Loss Demonstration Program provided $900,000 in grants to 8 states to assist livestock producers in undertaking non-lethal steps to prevent livestock predation by wolves and to compensate producers for livestock losses caused by wolves. Non-lethal tools include things like strobe lights and electric fencing. Studies have shown that in certain communities wolf depredation has had catastrophic effects. In Catron County, New Mexico, over 4,688 calves reportedly died from wolf depredation from 2007-2011. These losses resulted in a 15% loss in calf crop per year and caused four ranchers to go out of business. To lead or sign this submission, contact Jack.Lincoln@mail.house.gov and Jeff.Small@mail.house.gov. 33) FY20 Approps: Reps. Tipton and DelBene seek signers for programmatic request seeking robust funding for the 3D Elevation Program (3DEP). The 3DEP program is a national program managed by the USFS to acquire high-resolution elevation data. Currently, 3DEP data is available for the majority of the eastern United States, but much of the West still remains unmapped. 3DEP has important implications for the West – mapping data can significantly aid in landslide assessments, streamline infrastructure projects, support energy development and water supply and permitting, and enhance pipeline safety. Importantly, enhanced elevation data is predicted to generate $13B in annual benefits, at a ROI of about 5:1. The USGS has identified more than 600 applications that would benefit from enhanced elevation data. Specifically, this request asks for $146 million for 3DEP in FY2020. To sign this submission, contact Liz.Payne@mail.house.gov (Tipton) or Victoria.Honard@mail.house.gov (DelBene). 34) FY20 Approps: Western Caucus seeks lead and signers for language request to allow for state-based approach for Mexican wolf recovery efforts. Upon a determination by the U.S. Fish and Wildlife Service that the Mexican gray wolf (Canis lupus Baileyi) is not a genetically valid subspecies, this language request seeks to delist the Mexican gray wolf and allow for a viable state-based approach for Mexican wolf recovery efforts. The House FY 2018 Interior, Environment and Related Agencies Appropriations Committee Report sought to require such study by FWS. The Final Plan released by the Fish and Wildlife Service on November 29, 2017 lists population target goals which severely overweight Mexican wolf presence in the United States relative to Mexico, increasing the total needed for delisting to 320 wolves in the U.S. and 200 in Mexico. The Plan results in the United States being hamstrung on the efforts of the Mexican Government to recover its own wolf population, even if the United States has met its absurdly high target levels, in a stunning usurpation of sovereignty by FWS. Finally, the House previously passed an amendment by a recorded vote to allow for the state management of the Mexican gray wolf and to delist the species. To lead or sign this submission, contact Jeff.Small@mail.house.gov and Doug.Levine@mail.house.gov. 35) FY20 Approps: Reps. Don Young and Mike Thompson seek singers for programmatic request seeking funding for State and tribal wildlife grants. The State and Tribal Wildlife Grants Program is the nation’s core program for preventing fish and wildlife from becoming endangered. It is a mission-critical element of the Interior Department’s budget, as no other program is focused on this goal. The program is an effective and successful program that uses voluntary conservation measures to conserve some of our nation’s most treasured fish and wildlife, including mammals, birds, frogs, reptiles, fish and even iconic imperiled insects like monarch butterflies. Through proactive conservation, states in collaboration with federal and private partners are preventing species from declining to the point of needing Endangered Species Act listing. To sign this submission, contact Michael.DeFilippis@mail.house.gov (Young) or Wendy.Zirngibl@mail.house.gov (Thompson).